Heat preservation bag design,large mesh pocket,adjustable buckle system easily attaches to most pushchaires. 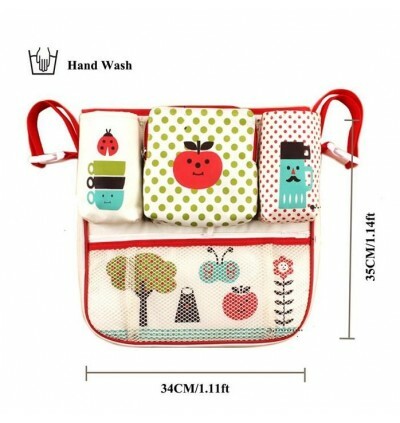 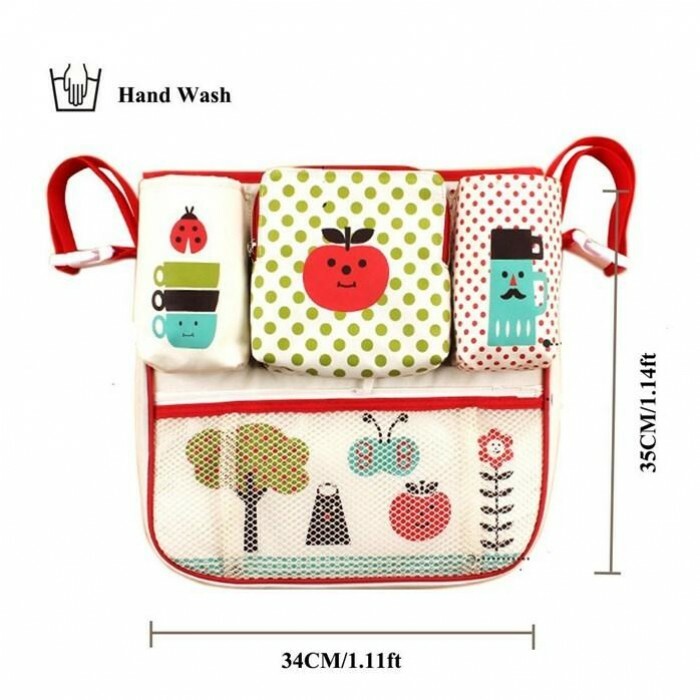 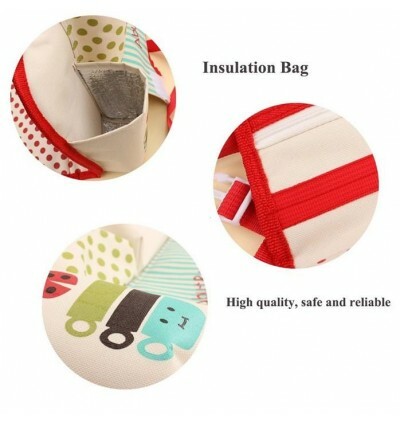 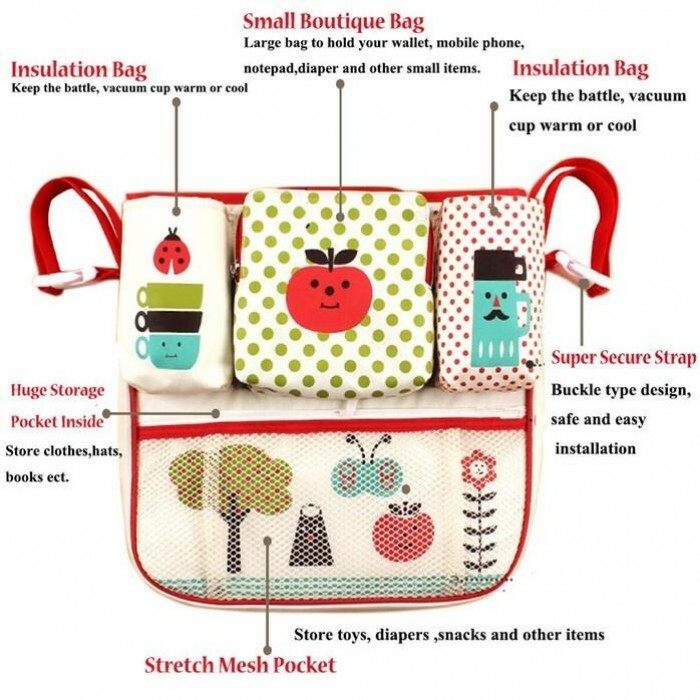 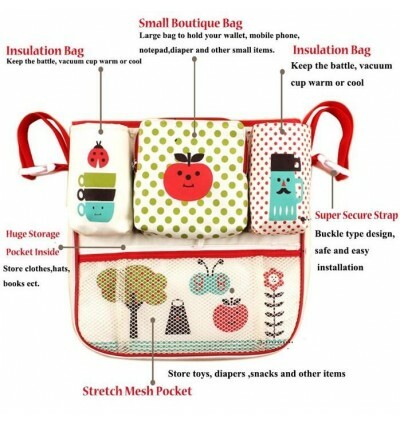 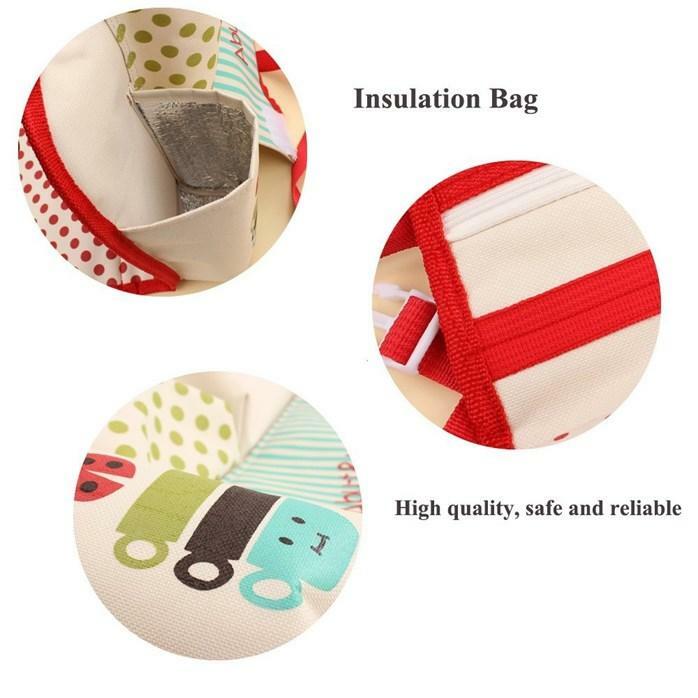 Large space to keep your baby accessories and your own personal items. 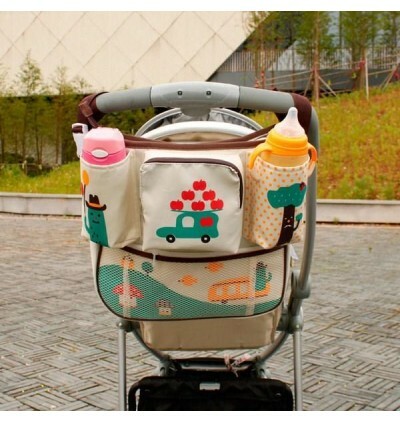 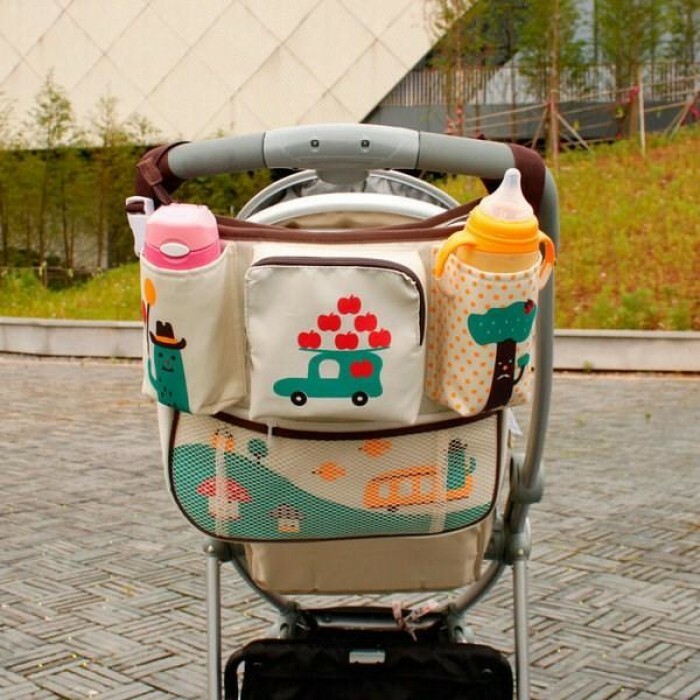 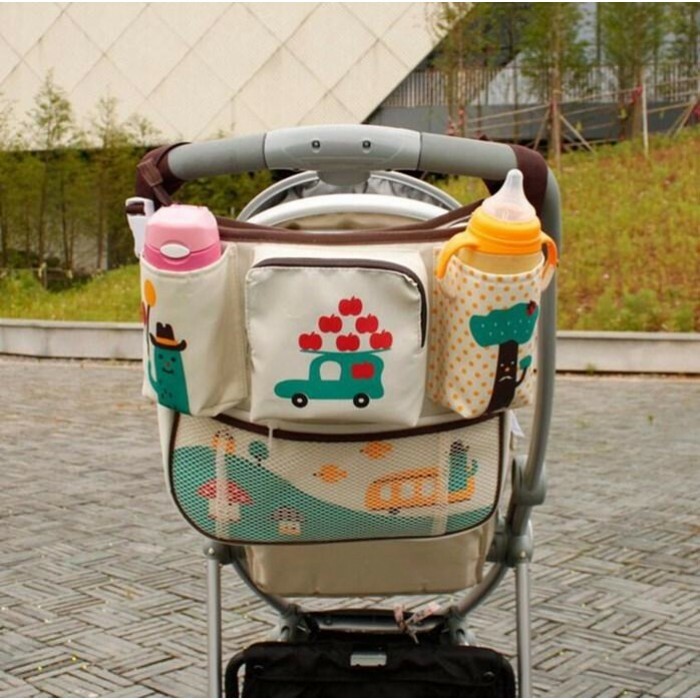 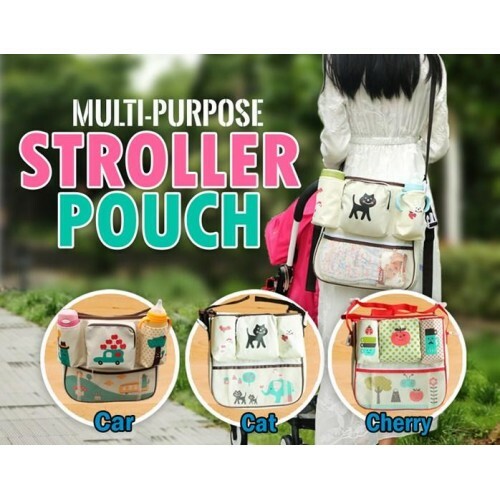 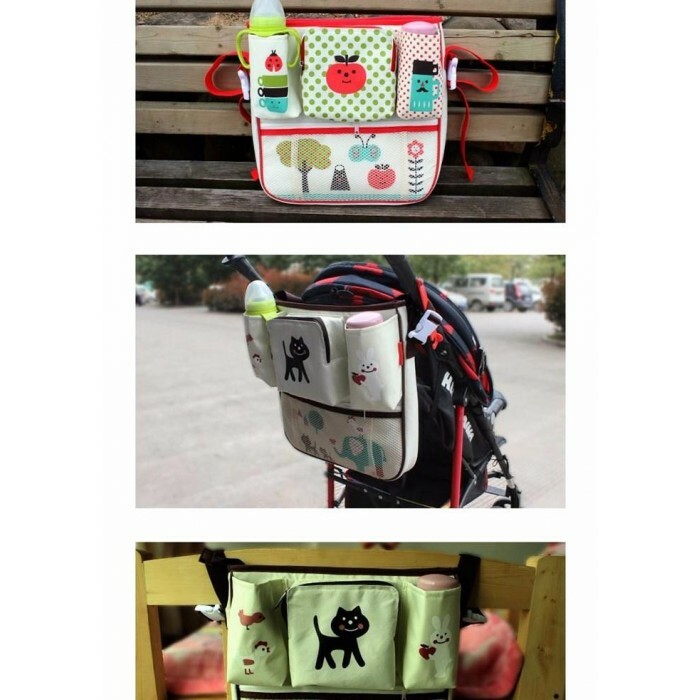 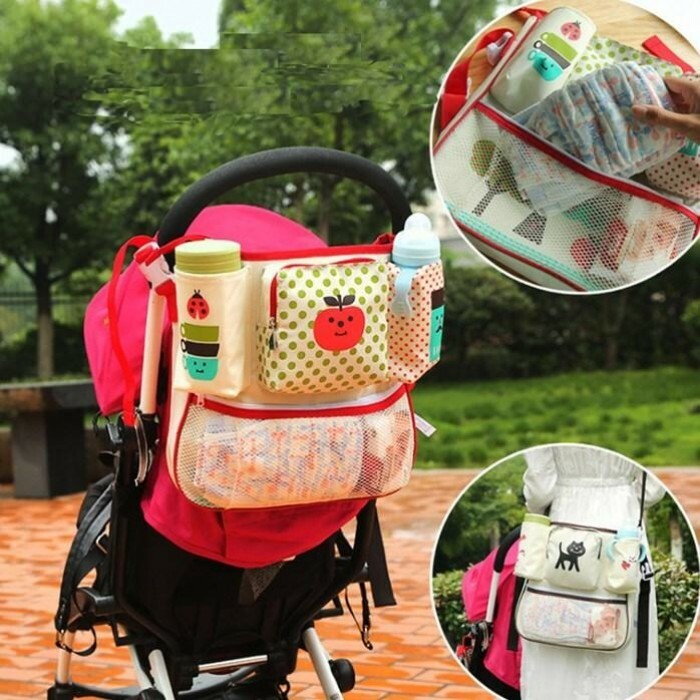 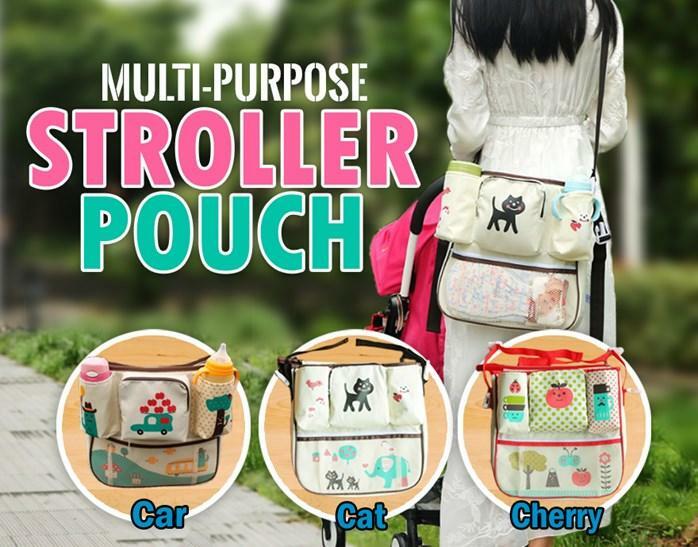 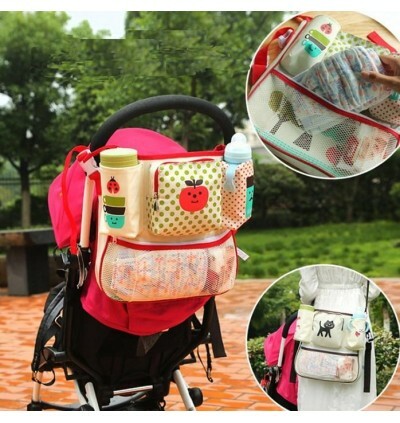 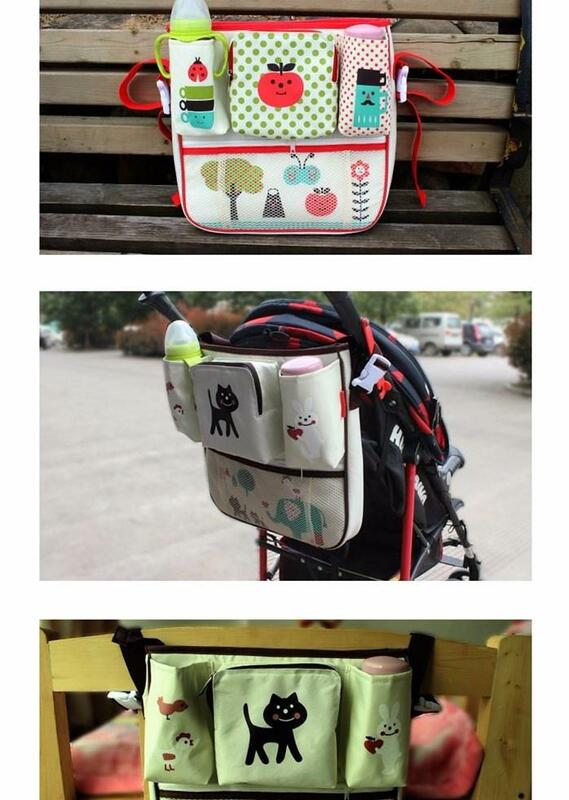 Carry two bottles or a bottle for baby and a drink for you without worrying about messes! 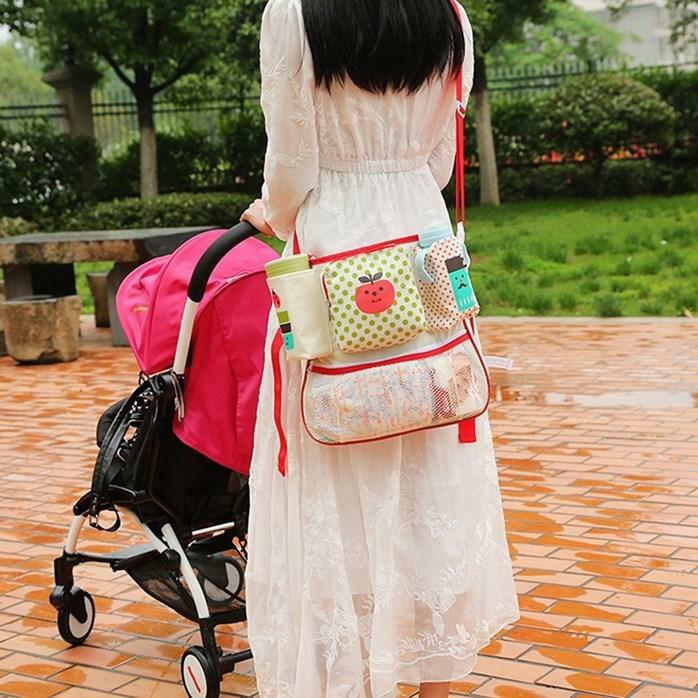 Added Bonus - A shoulder strap so that mommy can carry it on shoulder while carrying baby without stroller.